Will credit agencies ever settle for less? HomeBlog Debt ReliefWill credit agencies ever settle for less? 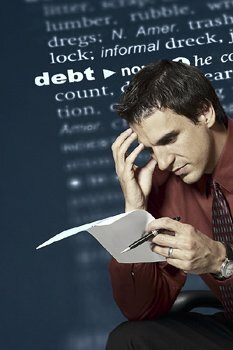 If you have a credit agency (collection agency) harassing you for payment, it’s not hard to guess that you’re having a money problem, For the sake of an example, let’s suppose you owe $1,000 and that you’re being called constantly by a credit agency demanding that you pay the full amount immediately or it will take drastic action. If you’re being hounded by a collection agency, the odds are that it purchased your debt from the original lender or even from another credit agency. The way this often works these days is that a lender such as a credit card company will bundle together thousands of uncollected debts and sell them to a credit agency for pennies on the dollar. This means the odds are also that the collection agency that’s harassing you probably paid less than $100 for your $1,000 debt. Since the credit agency bought your debt at such a discounted price, it’s very likely that it will negotiate. For example, it might be willing to settle that $1,000 debt for $500 or even less because it would still make a very good profit. If you are able to negotiate a settlement, get everything in writing. Whatever you do, don’t let the collection agency access your checking account. Pay the settlement with a cashier’s check or money order. You need to be careful because otherwise, that debt could come back on you. Unscrupulous credit agencies have been known to turn around and resell your debt to yet another collection agency and you might end up right where you started – getting more of those annoying phone calls. In the event that you have multiple debts, you may not be able to negotiate settlements with the collection agencies. There is a strategy for dealing with big debt called debt negotiation or debt settlement. However, this usually doesn’t work unless you can negotiate directly with your lenders. If your debts have not gone to a collection agency, you might be able to contact your lenders and offer to settle them by making lump sum payments for less than you owe. If you’ve made no payments on your debts for six months or more but they have not yet been sold to a collection agency, your lenders may agree to your settlement offers. You could offer to pay 50% or even 40% of what you owe with the stipulation that you would pay the money immediately in a lump sum. Of course, you would have to have the money available to make that payment. We could settle your debts for you even if some or all of them have gone to a credit agency. In fact, once you contract with us, we will contact any collection agencies involved, notify them that we are now settling your debts and that they aren’t to contact you anymore. The reason why we are usually better at settling your debts then you would be is because we have experienced debt counselors who are skilled negotiators and have excellent relationships with lenders such as the credit card companies. This enables them to negotiate settlements that generally save our clients thousands of dollars. When you put us to work, we charge you nothing up front. Instead of sending money to your creditors, you send the money to us each month and we deposit it in an FDIC-insured trust account where it stays until all of your creditors have agreed to our settlement offers and you have approved a payment plan. Stop letting credit agencies ruin your life. Call our toll-free number today and let us get started on settling your debts – probably for pennies on the dollar.